Located virtually adjacent to one another and separated by 1,327 nautical miles, the Malaysian and Sri Lankan destinations of Kuala Lumpur and Colombo both offer stunning and diverse cityscapes; from contemporary architecture to colonial buildings; but they also have their own quirks. Thought of travelling to both but wondering which one will best suit you? Check out the information below and decide for yourself. If you cannot choose, you can always go on a cruise from Port Kelang to the Port of Colombo. An eclectic and cultural hub, those who visit Kuala Lumpur, the Malaysian capital, will be treated to the city’s ongoing development and in contrast its diverse and rich history. Split into various areas, with the main one referred to as the Golden Triangle, it is comprised of Bukit Bintang, KLCC and Chinatown districts. The city also has great transport links, including extensive train and bus networks, so you will be able to navigate easily from one attraction to another. From its luscious parks to its contemporary skyscrapers, this colourful and sensory destination boasts a range of different activities and attractions to suit all. 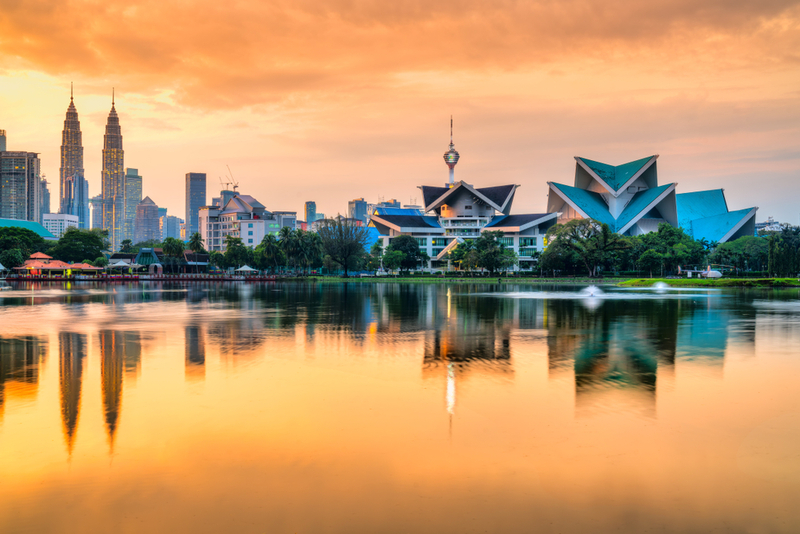 Malaysia is a region home to some of the Earth’s most amazing wildlife and with the 110-acre Kuala Lumpur Zoo and Aquarium, it’s never been easier! Home to a selection of mammals, reptiles and fish, as well as more specific reserves including the KL Bird&Butterfly Parks, there’s plenty to discover and makes for a great day out. Get acquainted with the local community and head out on a shopping adventure to some of Kuala Lumpur’s glamorous malls. With the Pavilion KL, Suria KLCC and Mid Valley Megamall’s all to choose from, you will be in your element if you are a retail therapist! Amongst the tallest towers in the world, the Kuala Lumpur Tower and Petronas Twin Towers showcase true man-made artistry. 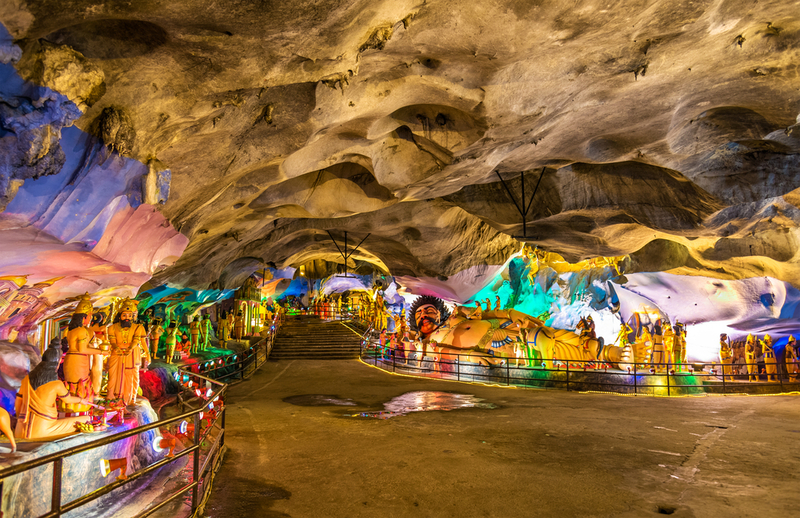 With natural wonders such as the Batu Caves and Klang Quartz Ridge also available for visitors to explore, you can see the best of what man and nature has to offer in this beautiful cityscape. Regarded by many as Kuala Lumpur’s ultimate party venue; Changkat Bukit Bintangis close to many of the city’s main landmarks including the Starhill Gallery and the Jalan Alor Food Street. An avenue known for its vibrant bars and clubs that play the latest house, electro and remixed pop and hip-hop, you can ensure to make unforgettable memories whilst experiencing authentic Malaysian nightlife. Kuala Lumpur remains hot and humid throughout the year, making it the ideal destination to visit whenever your heart desires. If you are looking for a cooler climate, the mountainous valleys are worth staying in. Like most tropical locations, KL is not exempt from the odd bout of rain and cold breezes but generally, the city is one of the least affected places in Malaysia by monsoon winds. 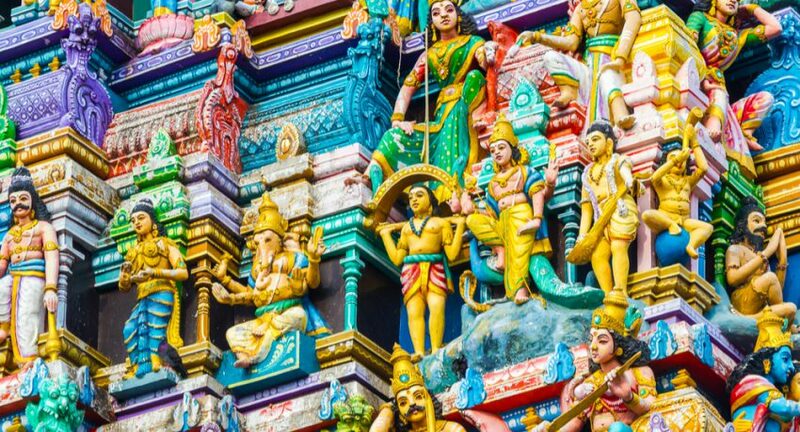 With its sprawling street markets, colourful silks and aromatic spices, the Sri Lankan city of Colombo is home to extravagant Buddha viharas, captivating museums, mosques, churches and flourishing flora. Once recognised as one of the important ports known to Indian, Persian, Chinese and Roman traders, the city has retained these cultural influences to date. 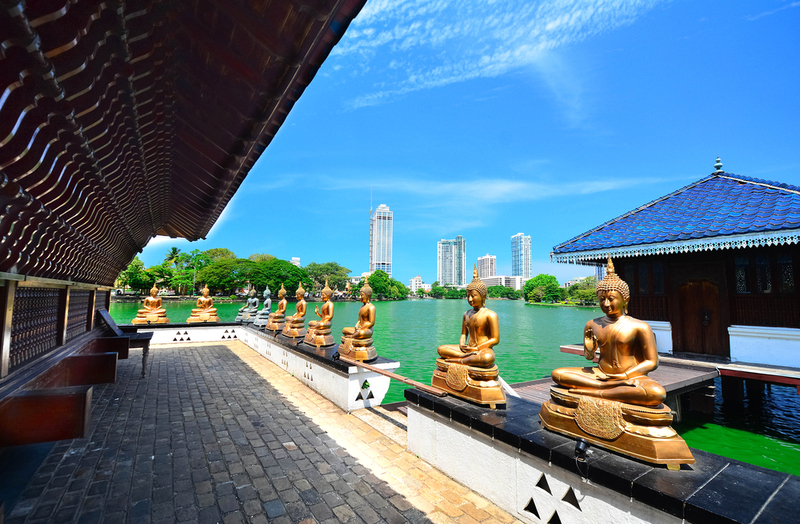 Whether you are looking to immerse yourself in the city’s culture or bask in the sunshine, a visit to Colombo has something for everyone. Colombo boasts a number of beautiful churches and cathedrals, including St. Anthony’s Church in the Kochchikade area which is also a national shrine. There are also beautiful Buddhist temples, including Asokaramaya Buddhist Temple which is bursting with colour and stunning statues. If you are looking for a slightly different experience, the Old Dutch Hospital is worth visiting. Believed to have existed since 1681, this building used to be where Dutch East India Company officers were looked after when they encountered health problems. There are a number of open areas and beautiful beaches in and around the city of Colombo. One of the most popular parks in the city is Viharamahadevi Park due to its vastness and proximity to some of the city’s most historical buildings, including Independence Memorial Hall. It also provides plenty of shade for those looking to keep cool in the humidity. Alternatively, if you want to feel the sand between your toes, Mount Lavinia Beach is located on the outskirts of the Sri Lankan city and is near to a variety of lovely restaurants as well as stunning seascapes. The beach is also the home of the local Turtle Conservation Project, where you can go and release hatched sea turtles back into the wild. Due to its seafaring past, Colombo is known for its mixed cultures and cuisines. One of the top recommended restaurants in the city is called Table One and is located in the Shangri-La Hotel in Galle Face. Here, you can experience international flavours with a local touch while admiring fantastic views of the Indian Ocean. There is a wide range of city tours available depending on your preferences. From walking tours to Jeep and Tuk Tuk tours, there are plenty of ways to see the city and its sights. 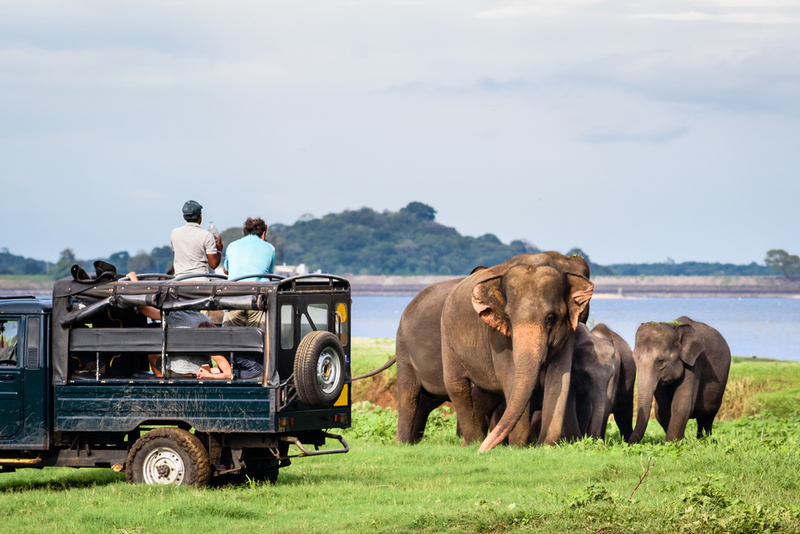 If you fancy venturing slightly further afield, embark on a Sri Lankan safari! Like Kuala Lumpur, Colombo boasts fantastic weather all year round. Monsoon season generally happens between June and September but outside of those times, Colombo is full of heat and some humidity. With Oman Air, flights are available through Holiday Genie and you can enjoy the perks of a luxury world class airline at a competitive price, meaning you can experience affordable luxury from the moment you step on the plane to touching back down in the United Kingdom. With double daily departures from London Heathrow and daily from Manchester, the possibilities are endless. To make an Oman Air flight booking as part of your Colombo or Kuala Lumpur package holiday, please call our Sales team on 020 8475 7671.